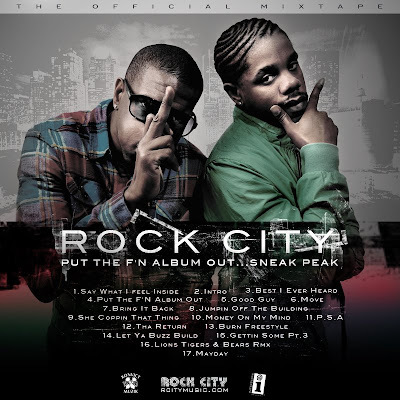 BlackRadioIsBack.com Music: R. City | BlackRadioIsBack.com - Official Blog of the Syndicated FuseBox Radio Broadcast! Good Tuesday Morning to our folks in BlackRadioIsBack.com land! 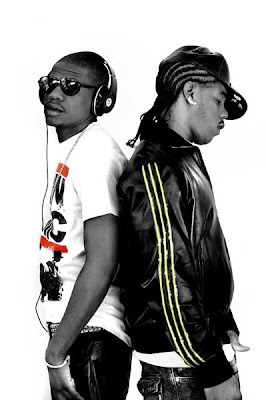 The Atlanta by way of the Virgin Islands brothers from R. City (beforehand known as Rock City) have been dropping mixtapes and collaborations left and right for the past few years as song writers and music artists for a minute even before signing with Akon's label Konlive Records. With folks waiting for their full length album project, Wake the Neighbors, to drop later this year, here's another mixtape project showing R. City Members Theron (a/k/a Da Spokesman) and Timothy (a/k/a Don’t Talk Much) holding bay to their audience frustrations by dropping "Put the F'n Album Out...Sneak Peak Mixtape" to the masses to check out. We like the mix these dudes have with blending Hip-Hop & Soul music in a way it doesn't sound trite and ordinary and have been on and off rocking their joints on the FuseBox Radio Broadcast - hopefully y'all will as well.